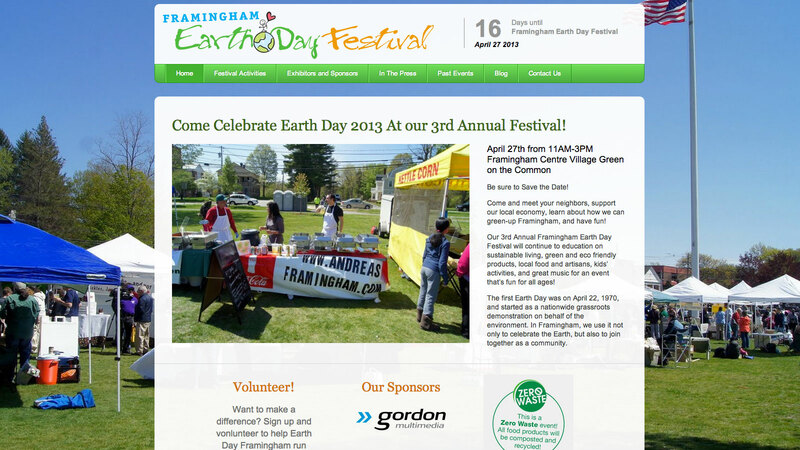 Framingham Earth Day needed a nice website to promote their yearly event, give the sponsors more visibility, and provide resources to the public. We built a beautiful site that accomplishes these goals and fit their buget! Visit this Earth Day website.